The THREE PIECE SUIT FOOTBALL CHARITY FESTIVAL featuring the TPSF XI Football Game takes place along Atlanta BeltLine’s Eastside Trail at the Historic Fourth Ward Skatepark athletic field, just minutes by foot/bike for over 60,000 Atlantans including residents of Ansley Park, Piedmont Park, Midtown, Virginia Highlands, Historic Fourth Ward, Inman Park, and Edgewood. TPSF is an Atlanta BeltLine Accessible Event. Leave your car at home! Walk, Run, Skate, or Ride to the event! Please note: The park will NOT be accessible via Willoughby Way for vehicle traffic during the event. Resident traffic only will be permitted. There’s no parking? How do I get there? 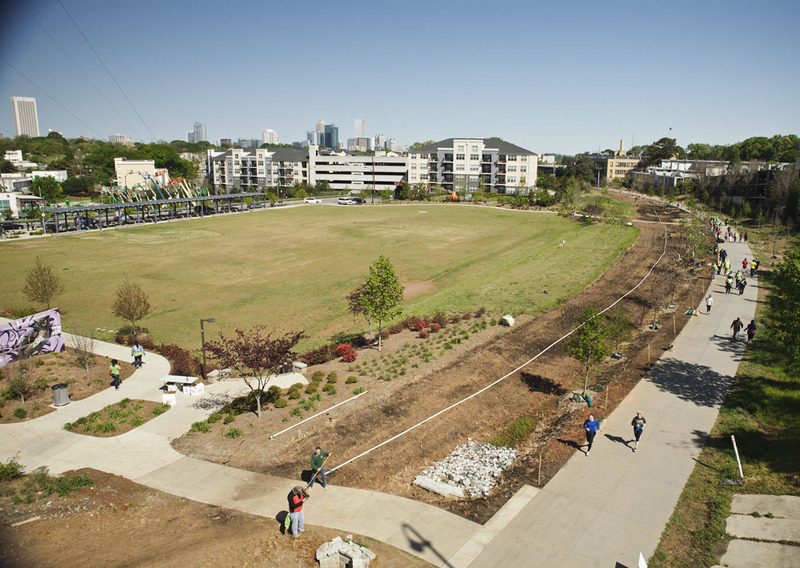 The Atlanta BeltLine Eastside Trail connects Midtown, Poncey-Highlands, Historic Fourth Ward, and Inman Park – all within 3-20 minutes walking distance to the Three Piece Suit Football Charity Festival. While we encourage our attendees to ride or walk to the festival, for those driving from further away, we encourage you to utilize private lots or public parking in areas that have access to the Eastside Trail. See the map of the Historic Fourth Ward Skatepark athletic field below and a link to the Atlanta BeltLine Eastside Trail access page here.